North Korea has kept mum about a UN group's request to provide information on 66 cases of enforced disappearances for one year beginning in May last year, a US government-funded radio station reported Thursday. Enforced disappearances are when a person goes missing after having been arrested, detained or abducted by a government or state-run organization. 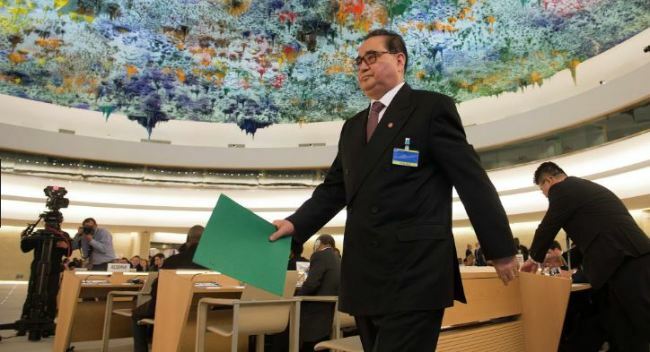 Citing an annual report by the Working Group on Enforced or Involuntary Disappearances, Radio Free Asia said the group has called for the US Security Council to consider asking the International Criminal Court to launch a probe into the matter. The annual report was revealed Wednesday, one day ahead of the UN-designated International Day of the Victims of Enforced Disappearances. The working group, set up in 1980 by what is now the UN Human Rights Council, works to establish a channel of communication between families with missing members and the relevant governments, as part of its efforts to assist such families in determining the whereabouts of the missing. Since its establishment, the group has received 233 suspected cases of enforced disappearances and asked Pyongyang to provide information on them. But the North has repeatedly given the same answer every year that there have been no enforced disappearances. Cases of enforced disappearances by the North include abductions of South Koreans during the 1950-53 Korean War and missing North Korean defectors who were sent back to their homeland from China.